Build with the most advanced roadside assistance software. Get updates such as ETAs, tow progress, job completion, and the different stages of a job. Edit or cancel key job information such as location or cancel a job. 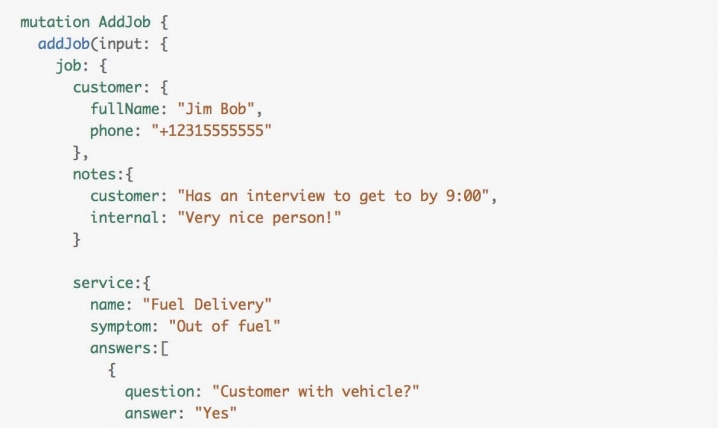 Automatically create a job including customer information, location, contact information, notes and more. 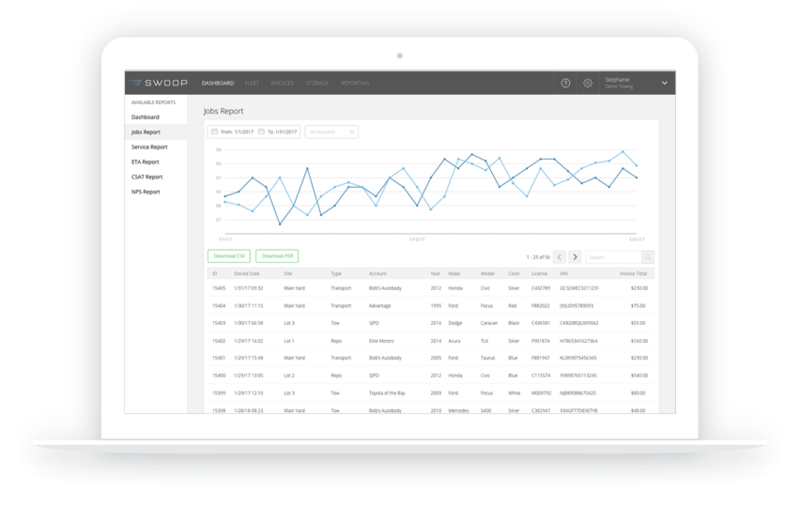 Swoop clients also have access to our real-time dashboards and reporting tools. These dashboards provide a live view of every ongoing job, a map to view hotspots around the country, real-time NPS and customer satisfaction tracking, and more. Optimized for easy development implementation and maintainability.